We're ending 2015 on a high note taking home THREE 'Taste Awards' for our web series! We're beyond excited to share with you fantastic news! The 7th annual Taste Awards just released their list of 2015 winners & guess who's on that list?! 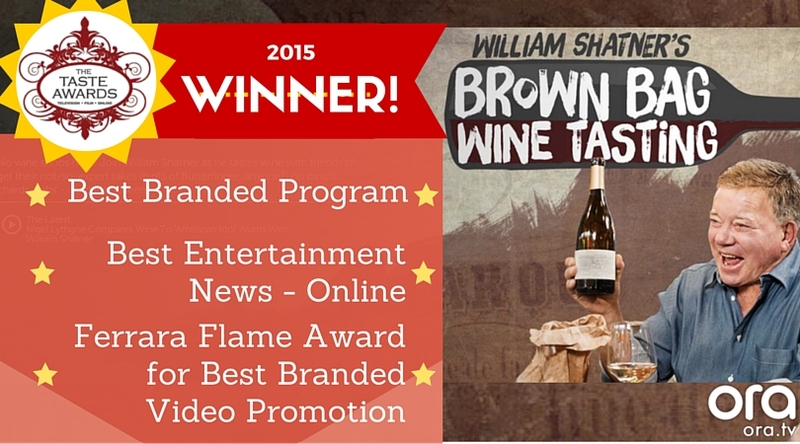 Thank you to the Taste Awards for this honor, congrats to William Shatner & our producing team & THANK YOU viewers! Cheers! And if you've yet to check out our show - click in below for a preview & visit our playlist to watch episodes online (or on Roku!) anytime!